Many questions arise about how best to connect external antennae to access points. Which one is best for a particular situation? Which type of antenna will get a signal 10 kilometres or more? Which type will best serve just the local area? It depends what you want to do. One thing to remember at all times: radio links have two ends. Your can't just consider the originating antenna, you have to think about the receiving antenna as well. Serving local areas is usually done by using an omni antenna, which radiates its signal in a doughnut shape around the antenna in the middle. The depth of the beam increases the further you are away from it. The best way to imagine it is as a lighthouse beam, shining out all around all the time. At the lighthouse the beam is only a couple of feet tall, but several miles away it is much deeper. Even so, an aircraft flying above it would not see the beam in the smae way that a ship would. And the lighthouse keeper in a small boat at the foot of the lighthouse would not see much of the beam either. Omnis are typically used to cover the whole of a local area. The receiving end must have an antenna that can 'see' the omni and typically small patch antenna with gains of 6-8 dBi are used: they're inexpensive and very effective. A 9 dBi omni would be expected to communicate with 7 dBi patches with good throughput over a couple of kilometres, assuming there are no obstructions and with a reasonable good, but not top range professional, radio at the omni end and a cheap and cheerful radio in the CPE at the receiver's end. It may be very useful to use a sector antenna to cover a smaller area, particularly if there is a lot of other wifi in the area. 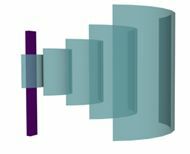 Sector omnis typically have a radiation pattern on one side of the antenna only, with a beamwidth between 90 and 180 degrees. This allows a concentrated beam to serve a carefully-targetted urban area. As wifi gains in popularity more wireless networks are being brought on stream. If everyone were to flood their areas using omni antennathe result would be so much interference that all the networks become unusable. It is important to select antenna that will serve the area intended and nowhere else. Sector omni tend also to be very efficient, with no energy being wasted in areas in which it can serve no purpose. 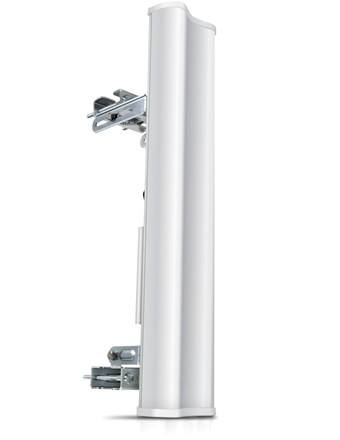 RF Elements Horn antennas have a symmetrical beam pattern in both horizontal and vertical panes. The beam pattern does not vary with frequency, and antenna gain is balanced over a wide frequency range. 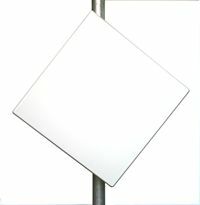 These antennas are low loss and have attenuated side radiation lobes, making them excellent for use as sector antennas. 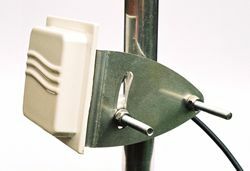 Making connections across long distances is usually achieved using dish antenna. The dishes act as a lens for the wireless signals radiated from a dish feed unit placed at its focal point, focussing it into a very narrow beam. Pairs of dishes accurately aligned will perform over 20 kms driven by average performance radios. The rating of solid dishes is typically 26 dBi, which exceeds the UK legal limit for 2.4 GHz links. In practice, because the beam is so narrowly-focussed, it will not spill over or interfere with other networks in the vicinity and it is unlikely that anyone will be aware of its operation. 5.8 GHz links can legally radiate greater power, so grid parabolics and solid dishes will provide solid links over long distances, provided they are carefully lined up. 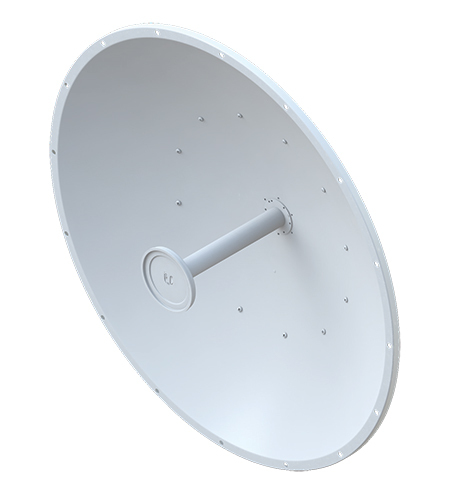 Dishes made from wire mesh stabd up to strong winds very well, so they can be mounted using standard antenna poles of 25 mm diameter. Soliddishes need heavier-duty mountings. For shorter distances, say between buildings, or in some cases for longer links, planar are a very good choice as they are physically small. 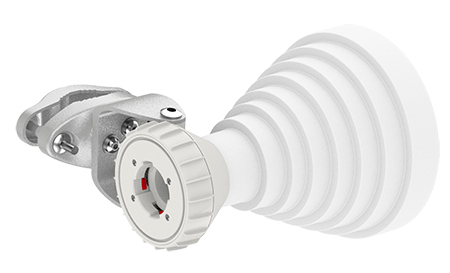 They are also good for customer premises equipment which are intended to look at a distant omni. Small patch antenna are very small and are ideal for relatively short range transmission. Typically a pair might be used to form a short range link between two buildings half a kilometre apart, or they might be used with customer pre mises equipment to look at a higher gain omni a kilometre and a half away. To choose an antenna, first decide what type of beam pattern you want, bearing in moind the distance and the type of antenna at the other end of the link. Then decide how much gain is required. With those two questions answered, you will have a very clear idea of what type and gain you need in your antenna. It is wise to use a System Operating Margin calculator such as the one that can be found here to calculate whether the antenna will provide the link you need. It is also wise to make tests before committing to a particular configuration.